Is Dr. Ken Park still full of snark in season two of the Dr. Ken TV show on ABC? We all know that the Nielsen ratings typically play a big role in whether the TV show Dr. Ken is cancelled or renewed for a third season. Unfortunately, most of us don’t live in a Nielsen Household. Because of that, many viewers are frustrated their viewing habits and opinions weren’t considered, before ABC cancelled Dr. Ken after two seasons. We care what you think, so we are offering you the chance to rate all the episodes here. An ABC sitcom, Dr. Ken stars Ken Jeong, Suzy Nakamura, Albert Tsai, Krista Marie Yu, Tisha Campbell-Martin, Jonathan Slavin, Kate Simses, Dave Foley, and Dana Lee. 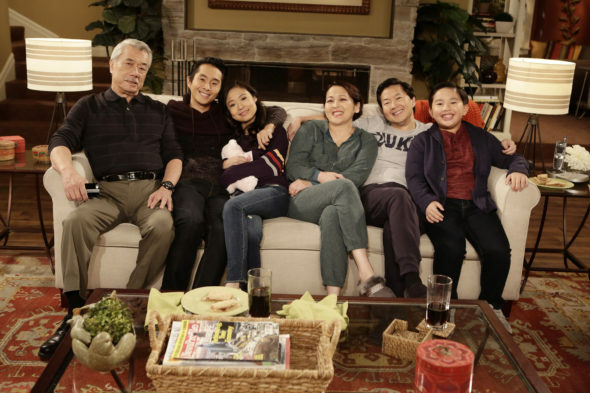 The TV series centers on the wise-cracking, overly blunt Korean-America doctor, Kendrick “Ken” Park (Jeong), his wife, Dr. Allison Park (Nakamura), and their children, Dave (Tsai) and Molly (Yu). An actor and comedian, Jeong created Dr. Ken, based on his real-life experience as an M.D., prior to entering the world of standup comedy. What do you think? Which season two episodes of the Dr. Ken TV series do you rate as wonderful, terrible, or somewhere between? Was ABC right to cancel this TV show, or should they have renewed it for a third season? Don’t forget to vote, and share your thoughts, below. Dr Ken: Has the ABC TV Show Been Cancelled or Renewed for Season Three?